In May 1853, Charles Dickens paid a visit to the “savages at Hyde Park Corner,” an exhibition of thirteen imported Zulus performing cultural rites ranging from songs and dances to a “witch-hunt” and marriage ceremony. Dickens was not the only Londoner intrigued by these “living curiosities”: displayed foreign peoples provided some of the most popular public entertainments of their day. At first, such shows tended to be small-scale entrepreneurial speculations of just a single person or a small group. By the end of the century, performers were being imported by the hundreds and housed in purpose-built “native” villages for months at a time, delighting the crowds and allowing scientists and journalists the opportunity to reflect on racial difference, foreign policy, slavery, missionary work, and empire. 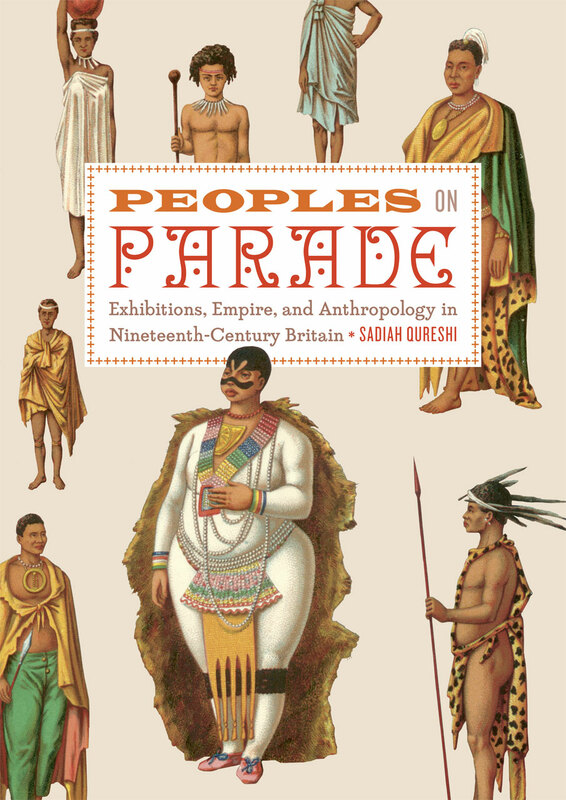 Peoples on Parade provides the first substantial overview of these human exhibitions in nineteenth-century Britain. Sadiah Qureshi considers these shows in their entirety—their production, promotion, management, and performance—to understand why they proved so commercially successful, how they shaped performers’ lives, how they were interpreted by their audiences, and what kinds of lasting influence they may have had on notions of race and empire. Qureshi supports her analysis with diverse visual materials, including promotional ephemera, travel paintings, theatrical scenery, art prints, and photography, and thus contributes to the wider understanding of the relationship between science and visual culture in the nineteenth century. Through Qureshi’s vibrant telling and stunning images, readers will see how human exhibitions have left behind a lasting legacy both in the formation of early anthropological inquiry and in the creation of broader public attitudes toward racial difference. Introduction: Ladies and Gentlemen, I Bring You . . .
Chapter Six: Transforming "Unfruitful Wonder"